LUKASZ is a general surgeon from Poland. He moved to Mo I Rana in Norway with his family in May 2016, after he was offered a job at the local hospital. “It started three years ago when I was offered a job in Iceland while I was on vacation with my family. However, this was not the right time for us to move. After I turned down the job offer, we started to think and talk about moving to one of the Nordic countries. Later I was offered a job in London, but the company that was helping me didn’t have a family concept and there were no job opportunities for my partner. Furthermore, London is a megacity and we couldn’t picture ourselves living in such a big and chaotic place. During my first interview at the hospital in the UK, I immediately had the feeling that it wasn’t the right moment or the best option for us. A while later, I was contacted by MediCarrera and they explained their program to us, step by step. We suddenly realised that the family inclusion was a key point both for MediCarrera and the Hospitals they cooperate with. After the screening interview with MediCarrera, we did not have any offers for him at that moment. But after a month or two, he was invited to go on a study tour to Mo I Rana, to have an interview, a tour of the hospital and of the city. “I went to Mo I Rana with my family and when we arrived at the airport we were met by the representatives from the local hospital. We felt welcome right away and we had the opportunity to relax and focus on most important thing: get to know the place we might move to. The trip was supposed to last three days, but I was asked if I could stay one extra day so that I could assist in an operation and of course I said yes! Before moving to Norway, Lukasz and his family attended the Norwegian language course in MediCarrera’s language centre in Budapest. First, he studied three months with the online language platform and then they all joined the four-month intensive course. At the course centre, we met many other doctors and their families and we shared a delicate and important moment in our life. This feeling that we were all in the same boat, dealing with the same difficulties, helped us bond. In Budapest, we also met Aloys, a neurologist who went through the same process with MediCarrera. We all love nature and that’s why we chose to move to the north of Norway. Since we moved to Norway, we have been keeping in contact and Aloys has visited us many times. We are going to buy a car and afterwards, we will go to visit him. It’s ca 10 miles from Mo I Rana to Mosjøen, but we say we are neighbours. Sometimes, we like spending time together in the open air but if we can’t meet we speak on the phone or through messages. We help each other if we have problems and it has been good mutual support. Finally, after a few months of training, they moved to Norway in May 2016. “Moving abroad may be stressful if you don’t have the support and help of experts. 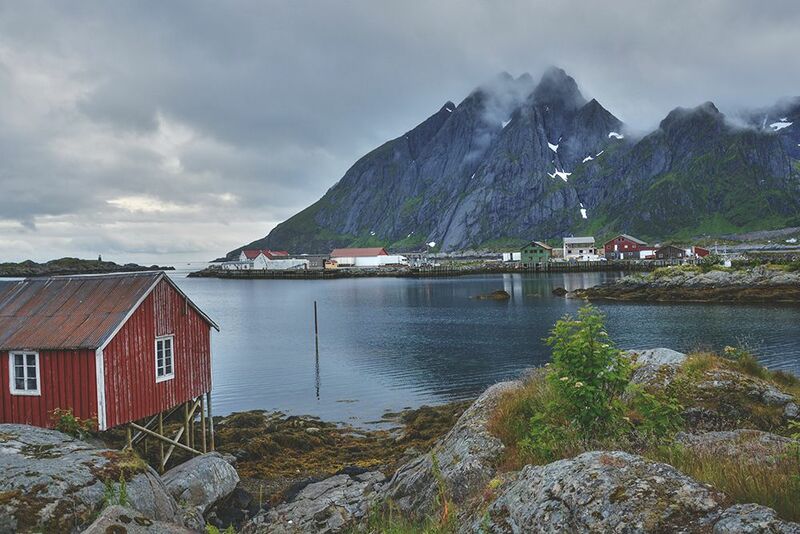 Finding a new home, a new school for your children, the organisation of the move to Norway and all of the paperwork and practical issues that you may have to arrange. The help from MediCarrera was crucial for us because it’s a big change and with their support, everything was easier. The hospital was also very helpful and we knew that if something happened we could just ask for help. The first weeks, at the hospital, everyone was very welcoming and helped us with the language and patients. Luckily, there was no major problem with the language, however, it was a bit difficult to understand some people, who are from very small villages, because of the strong dialect. But, sometimes, this happens even to native speakers who have been speaking Norwegian all their life! MediCarrera helped his partner with getting the approval to work as a paramedic in Norway. It was only a month after they moved to the new city and she was invited for an interview. She got the job right away thanks to her good Norwegian knowledge. This helped them, even more, to integrate socially in the new country. “When it comes to the social integration, you should not force it. My experience is that it comes little by little. People from the north of Norway are very kind and helpful and like to talk. When we first came to Norway everyone was very interested in us and the process we had been through but after a while, it calmed down. Some may feel lonely but that was not the case for us. Norwegians don’t push too much, they wait and if you want, you can contact them without problems. Because we have a child in kindergarten we meet parents of other children on birthdays or other events. My partner works at the ambulance station and I have got to know some of her colleagues and she knows my colleagues. 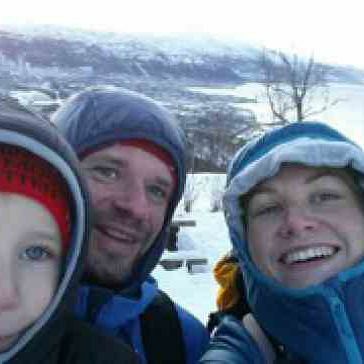 Their son loves Norway and is enjoying kindergarten. He is starting to learn Norwegian and the employees at the kindergarten give them an update every month on how their son is doing at kindergarten and with the language.